Once upon a time when it came to cars General Motors was king of the road and the American Dream was paved with Chevys. And when it came time for fighting for the American Dream no one contributed more to the war effort in WWII than General Motors Corp.
A few years before we entered the war, General Motors had whetted our appetites for the wonderful World of tomorrow with their popular futurama exhibit at the NY Worlds Fair in 1939/40. But the world of tomorrow loomed ominously as war raged in Europe. When Pearl Harbor happened, General Motors would take a detour on the road to the World of Tomorrow to supply our fighting men; after all when it came to tanks, wouldn’t you really rather have a Cadillac? 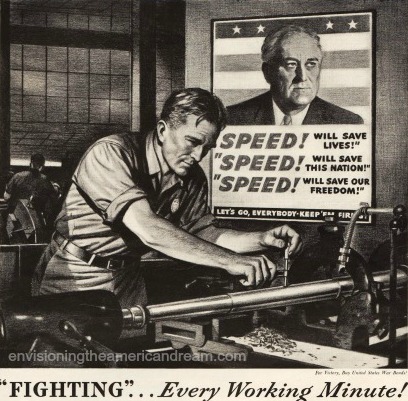 As American industry rushed to create what FDR called the arsenal of democracy General Motors rose to the occasion in a big way, providing the lion share of hardware to the American military. General Motors produced this patriotic motivational film in 1942 about how its workers and factories were contributing to war effort. 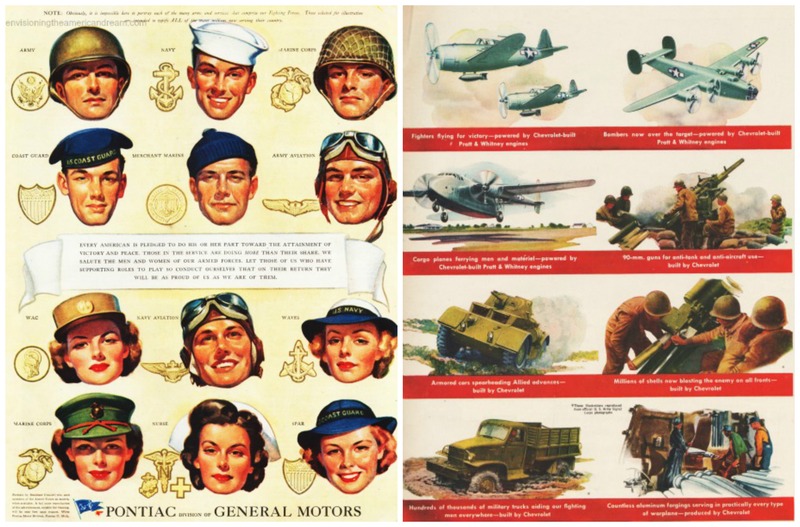 Within in a year of entering the war, General Motors, had ceased the production of civilian automobiles and was gushing out millions of units of a wide variety of planes tanks guns and other munitions . What were once busy factories were now defense plants. as Squat tanks began flowing off the assembly line instead of smart automobiles. 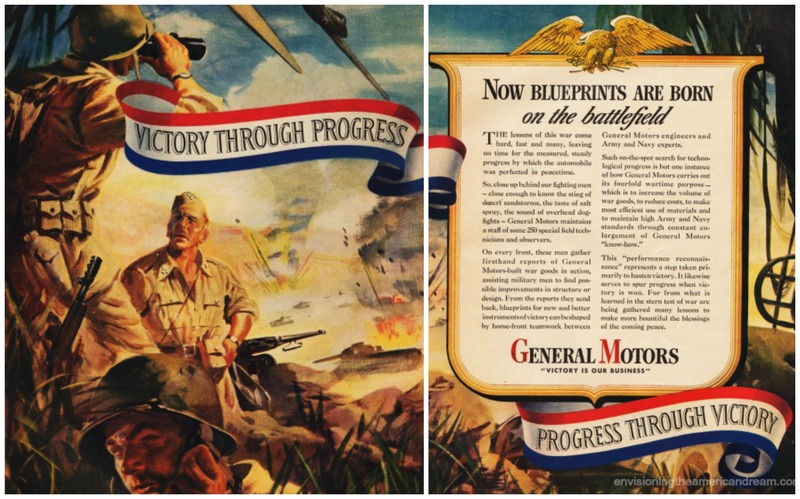 Although they had no new cars to sell, General Motors continued to publish a profusion of full color ads to let the public know how busy they were supplying essential war materials, all while keeping their names in front of the public.